Maintaining Strong Relationship with Supplier, Striking the Best Price for Company !! Supplier is a central point of procurement activities and processes. But, it is surprising how few organizations really think like that. Yet the performance of a supplier has a huge impact on an organization’s success and will ultimately determine how the procurement function and its leadership will be regarded by the business. Suppliers are more important than ever in today’s economically uncertain times – particularly when that business relies on its suppliers to bolster its own image, reputation and bottom line. A supplier’s price, quality, reliability, technology, and industry knowledge can offer a business an advantage over its competitors. In today’s accelerating world economy, manufacturing companies are facing with the market realities of ever more demanding customers, shrinking product life cycles and steep price erosion. Companies drive to continually cut costs and focus on core competencies has driven many to outsource some or all of their production. 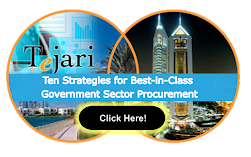 Many eProcurement tools are there in market which bring transparency through different module in competitive bidding environment. Standard request for information (RFI) , request for quotation (RFQ), reverse and forward auctions enable buyer to save money by aggregating suppliers together in one online platform to compete for business. eProcurement always reduce written procedures offers costing options that auto generate order plans. Below are some important tips for success of eProcurement process. As we all know that evaluating performance indicators in procurement is a compiled but complicated process. It is important for that data to be actionable and measureable. After working on several KPI’s we have found some multiple indicators divided into Quality related KPI and Cost related KPI’s. Is Procurement A Good Choice For Females As A Profession? I just wanted to share an interesting article about a survey last year on female representation in procurement. The survey reveals that the women in purchasing earn 70% of their male equivalents in year 2012 whereas they earn 77% of their male counterparts – a seven percentage point improvement on 2013. Although it’s a slow improvement yet a positive sign but females still comprise of a small ratio as compared to male CPOs worldwide.